Simply put, it's a great song! Most importantly, it came rather quickly from the seller, was well packaged, and in good condition on arrival. I was pleasantly surprised. If you like Hold My Hand, but are skeptical about ordering, don't be. Order it with confidence. Well worth the great price. I'd order a Michael Jackson single cd and I got a country music cd ? Wow! The song is so pretty makes you happy just to hear it. We all could use a hand holding once in awhile! I think I need to hear this when I know Michael is on the other side and is trying to help me get through my life. 4.0 out of 5 starsMust have! This is a great CD. Micheal and Akron sound so good together. You will love this CD and also its instrumental. 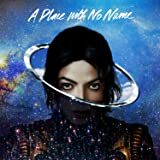 I had plans to buy the posthumous "Michael" album until I started hearing clips from it and grew suspicious along with others that some of the tracks were passing off non-Michael Jackson vocal tracks as the real thing. So, even though there were a small number of songs that I wanted to hear more of, and also have in my collection, I decided to pass. I just couldn't bring myself to purchase a suspect CD. But I couldn't ignore how much I liked "Hold My Hand." I'm not a huge Akon fan, but when he hits the right feel on a song, that song can be splendid. And mixing Akon's plaintive, Wailers-influenced vocalizing with Michael Jackson's secondary support should be a no-brainer. And that came to be true. 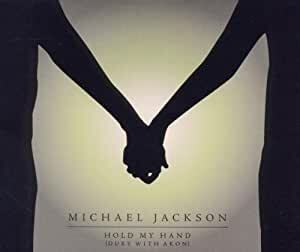 This song is the standout track for me, and I would pay nearly what it would have cost to buy the whole album in order to get four versions of "Hold My Hand." Even though the Album Version, Vocals & Orchestra Version and Alternative mix tracks aren't all too different from each other, they're worth having if you're a big fan of the song. The instrumental version is like the cherry on top. So even though it costs about 2 dollars a track, I'm more than satisfied.